The United Arab Emirates are seeing more and more tourists every year for the past 10 years. It’s true that most of them are usually visiting Dubai but other cities are starting to attract visitors. In 2016 alone, the direct contribution of the travel and tourism sector to the UAE’s GDP was around USD 18.7 billion, which is equivalent to 5.2% of the total GDP. And this number grow year by year. Another big part of those that go to UAE are expats that are relocated with work related tasks. Others simply come here to find work and the chance of a better paid job, so they can send money from UAE to their families back home. 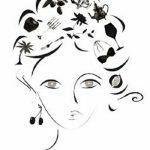 The Hedonista is a Dubai culinary blog that was awarded Top 100 Dubai Blog by feedspot blog award. It’s owned by Sarah Walton, a Melbourne native who moved to Dubai with her family in 2008. The author lives in Dubai together with her husband and two sons. The blog is named after her love for all the exotic and pleasurable foods found in the region, and other nearby territories. Sarah writes about her own personal experiences, takes photos and gives an honest opinion about her encounters. The author admits that she’s never accepted free meals from a restaurant in exchange for writing a good review since that’s not her style. 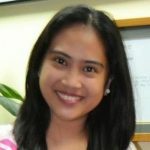 This blog is owned by Pam G, a Filipina currently living in Dubai as an expat and also an active member of the Couples of Christ group. Glimpses of Pam has been recommended by InterNations as a top expatriate blog in the region. It was started in May 2010 as a way for Pam to express her thoughts and ideas with other people. The site helps her keep track of various things happening in her life, which can vary from mundane to really exciting. Readers will find stories about her life informative, amusing and interesting. Moreover, if you have any questions or concerns about the blog you can contact Pam through her email. 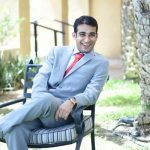 Dxb Blog is owned by Maddy and Khawar Jamil who moved to Silicon oasis in Dubai in 2013, Maddy came in search of an interesting student life while KJ was looking for a boost to his business. Silicon oasis is a small section of Dubai that’s found in the outskirts of the main city. The region is diverse and features everything from tall buildings to the rich sea and white sands that surround it. 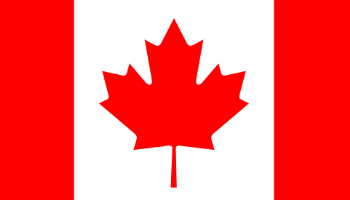 There are also multiple accommodations for visitors ranging in style from modern to cultural, and even western designs. Two new villa compounds are also currently being planned, they are semer and cedre. The authors describe Dubai as having a nice community atmosphere. Arabian Notes is owned by Lindsey, an expat tours and lifestyle author living in Abu Dhabi. Lindsey had always dreamt of travelling oversees, and this came true in 2006 when he took a major leap and accepted a job opportunity in the Middle East. She left her life in London, UK behind and moved to the UAE where she later got married to her partner in 2008 at the Jumeirah Beach. 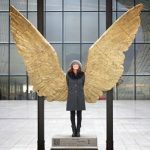 The blog was started in October 2003 during a time of reflection about her life, at a period when the dad was terminally sick. It’s meant for anyone with a keen interest on what’s happening in UAE, as well as those visiting Abu Dhabi or contemplating about relocating to the UAE. My Custard Pie is owned by Sally Prosser, a food and travel blogger with a flair for fresh and tasty ingredients prepared from scratch. Originally from Gloucestershire, UK, Sally has been residing in the Middle-East since 1995 and in Dubai from 2000. She’s a married mother of two, a walker, bookworm and generally very inquisitive. With so many culinary opportunities available in Dubai, readers will find insights on the best places to eat or buy food, ranging from 7-star restaurants to street food. If you like travelling to new places, you’ll find this blog very inspirational. Moreover, before recommending any recipe, Sally always seeks to know how it’s produced and the entire story behind it as well. 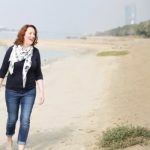 It’s a lifestyle and travel blog owned by Jo Brett, a mother of three from the UK currently living in Abu Dhabi. The site follows through her journey living in the region, through words, humor, photos and travel experiences. She gives insights on the latest news and happenings from Abu Dhabi, Dubai and beyond, including the latest restaurant openings, places to see, where to stay and personal experiences. Jo welcomes any questions or feedback from readers who can send in their comments through the contact page, enquiries for freelance writing can also be made through email. All reviews are written by the author and occasionally by her husband as well. 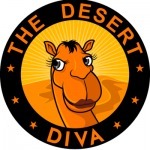 The Desert Diva was founded by Marina Bruce in 2016 as a desert and outdoor events site, Marina is a British native from North of Scotland currently residing in the UAE. Apart from being a blogger, she’s also a mother and wife. Through her blog, she offers great outdoor and desert adventure trips throughout the Emirates and Oman as well. Visitors who want to take desert voyages are entitled to a maximum of 10 cars per convoy, whereas mountain trips can only enjoy a maximum of 30 guests. Since Marina and her husband Neil bought their first off-road vehicle, she has steadily become adventurous, experienced and well respected in the desert dirt-road scene. Together with Neil, they have so far managed to cover 100,000kms of offroad driving in the regions of Al Ain, Wahiba, Liwa and as far as Umm As Sameem. 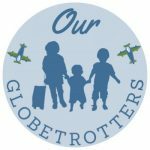 Our Globetrotters is an online community that’s dedicated to travel-lovers who want to explore the globe, even when coming along with kids. The site hopes to encourage people to travel more with their children and have fun while doing it. This blog is owned by Keri Hedrick, a freelance writer and mom of three living in Abu Dhabi, UAE. 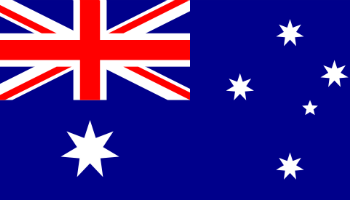 Prior to moving to the Middle East, Keri worked as an accountant in Melbourne, Australia and later on in London UK. However, she has now put her full-time career on hold to focus on her children, writing and travels. The blog is suitable for expats who are looking for fun family activities in the UAE. 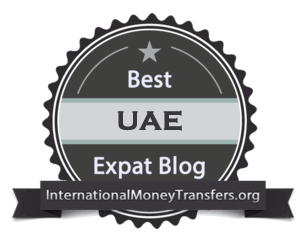 This blog is about the experiences of an expat family staying in Dubai. 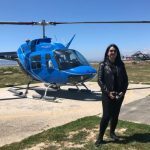 It’s owned by Tarana Khan Siddiqi, a mother of two boys and a talented travel writer. 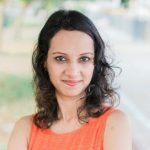 Over the past few years, her blog has received many accolades such as UAE Recommended Blogs by Expat Focus, Top 10 Mummy Blogs by Media Source Middle East and Bloggerheads by Khaleej Times. Moms reading the blog will find a lot of original ideas for their young ones to try out, which can be found in the blog’s Busy Hands series and includes favorites such as the DIY Pirate Hat, Paper Plate Spaceship, Cereal Box Ball Game and much more. The site also shares genuine reviews of items that the author finds useful in Dubai, including family-friendly restaurants and kid-friendly places to visit. 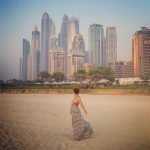 TRAVELAUREL is a luxury travel blog owned by Laurel, a young lady from Pittsburgh, US currently residing in Dubai as an expat. Laurel moved to Dubai in the summer of 2008 where she ultimately pursued her dream job of travel journalism. Her writings have been published in various platforms such as Destinations of the World News, The Ritz-Carlton Magazine, Conde Nast Traveller Middle East and much more. For those visiting the UAE, she recommends Four Seasons Hotel at Al Maryah Island in Abu Dhabi as one of the best places to stay. The hotel is only 20 minutes drive from the airport and conveniently located next to The Galleria Mall, where visitors can shop for anything they want in luxury. 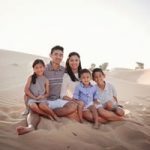 The blog was formed to share one family’s international travel escapades as they transition to become expats in the UAE. The family’s name is Eksaengsri , which is why they decided to call their blog Eksperience after their own name. According to Jina Eksaengsri , the blog was formed to share personal experiences from different perspective of family members, including her husband, their three beautiful children and herself. Her son Cohen is also very enthusiastic of the blog and says that he’s had a great time with all his family members in their travel escapades. She also appreciates that despite living in a foreign country, he can still communicate with friends back home through social media sites like Instagram, FaceTime and Snapchat. 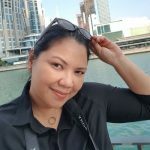 Sandier Pastures is an online travel diary owned by Grace, a working mom and expat living in Dubai. It was originally formed in 2007 to record her transition from Japan to Dubai. Unlike other expats who come to the UAE seeking for greener pastures, Grace moved to Dubai together with her husband to look for adventure and experiment. The blog has everything in it from blogging tips to travel stories and recommended hotels & restaurants. The author typically writes during small pockets of free time she finds at work during lunch break, or while standing in the train on her commute to work. If you are the owner of one of the blogs listed above…Congrats! 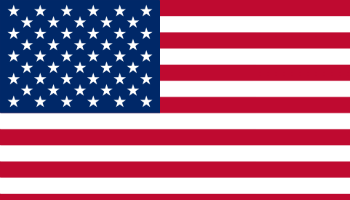 You have done a great job with it so please continue to do so for many years to come. And because for every good task completed you usually get a badge of recognition, take a look below. We made a badge (big and small version) that you can easily put on your blog for the world to see. *You just need to copy/paste the code bellow in a widget on your blog.